Stand Up & Vote ! I had just checked into my hotel room with my laptop bag in one hand and a cold sandwich in the other when my mobile phone began ringing in my right pocket. It was my friend, Jackie Bejan, from San Jose: "Wilfred, I'm going crazy with so much still not done. Put together a write-up on the Iraqi out of country organizing activities and the discrimination that is taking place against our people. Send it to me before you go to bed." My sandwich had to wait another ninety minutes before I would return to it with a warm beer and soggy fries. I emailed Jackie the protest letter that night, feeling unsure of what was happening in Chicago, Detroit, and Los Angeles. 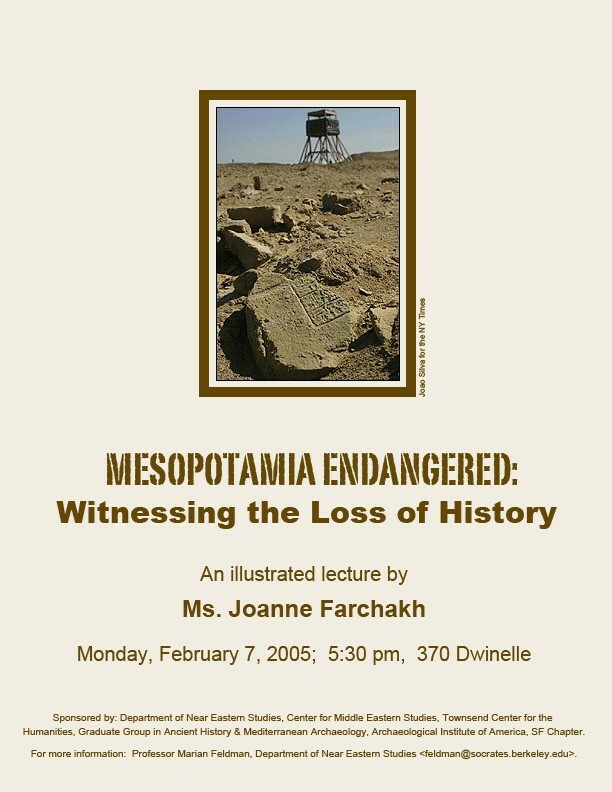 Why were the Assyrians in Central California and those of Chaldean faith in San Diego ignored in such a way that only benefited one specific ethnicity, that of the Kurdish whose majority lived in D.C., Nashville, and Los Angeles. On the other hand I was incredibly proud of what Bejan and others in the ChaldoAssyrian Advocacy Council had already accomplished. Iraqi Christian Groups Protest Out-of-Country Voting Arrangement in U.S. The largest community of Iraqi Americans is incensed regarding the out-of-country voting arrangements being made. The community of Iraqi expatriates in the United States is comprised of about 80% Christian Assyrians, Chaldeans, and Syriacs, the indigenous people of Iraq, who fled various waves of persecution there. Now, inadequate out-of-country voting arrangements in the United States will make it difficult for the majority of eligible Iraqi voters to exercise their political rights in the January 30th elections. Some of the blame must be laid at the feet of the Independent Electoral Commission of Iraq which has accommodated the smaller Muslim Iraqi community of Arab and Kurdish residents in Washington D.C., Los Angeles, and Nashville while leaving out altogether the third-largest Iraqi population center: namely, the San Diego area of predominant Christian Iraqis (third only to Detroit and Chicago). The unrealistic conditions for registering in a distant location and then returning to the same location to vote will discourage these eligible Christian Iraqi voters and may skew the votes in favor of the minority community of ethnic Arabs and Kurds in America. On November 11, 2004 the Independent Electoral Commission of Iraq (IECI) signed a Memorandum of Understanding (MoU) with the International Organization of Migration to conduct an Out-of-Country Voting Program on behalf of and under the supervision of the IECI. The OCV Program, leading to the January 30th elections for an Iraqi national assembly will be conducted in the United States as well as 13 other countries outside of Iraq because the IECI believes these countries host the largest Iraqi Diasporas. Five locations are designated as voter registration offices in the United States: Nashville, Tenn.; Los Angeles, California; Chicago, Illinois; Detroit, Michigan, and Washington D.C. Registration will take place from 17 to 23 January 2005 and polling will be conducted over three days between 28 and 30 January 2005. By-mail registration and voting is not allowed. 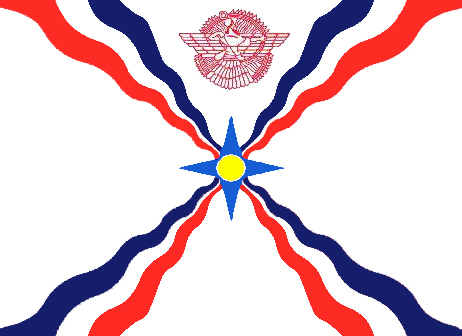 The OCV Program country office in the United States, despite being provided demographic facts and recommendations from the national Iraqi Christian leaders in this country has refused to correct the disenfranchisement of the Assyrians, Chaldeans, and Syriacs (known administratively as ChaldoAssyrians in Iraq). In this way the OCV Country Program Director in the United States bears responsibility for giving preferential rights to the most powerful ethnic groups in Iraq over those most oppressed and disenfranchised in their native land, the Christian ChaldoAssyrians. The Christian Iraqi leaders in the United States are sorely disappointed by the failure of the OCV Program Office in the U.S. to take measures to facilitate voting of Assyrian and Chaldean Iraqis in San Diego. The Iraqi Christian groups in California are especially outraged at the dismissal of San Diego where as many as 25,000 eligible Iraqis reside, including a small Kurdish and Arab population. The voting center that is placed in Los Angeles is also situated at least 400 miles away from another large concentration of Christian Iraqis on the west coast, that of Central Valley and the San Francisco Bay Area. On request, the OCV Program Office was completely unwilling to discuss concessions to these eligible Iraqi Christians. To facilitate registration and polling and to maximize the number of eligible Iraqi voters this month, the Christian Iraqi leadership insists on the opening of two new registration and voting facilities in California; one in the city of San Diego and another in Modesto, to be opened in time for this month’s registration and voting deadlines. We believe that with these arrangements in place, a major group of eligible Iraqi voters will then be able to take part in the electoral process of Iraq, and thus represent the democratic ideals of the great nation that has given them refuge in times of need. The Christian ChaldoAssyrian communities in California are prepared to fully participate in making the registration and election process a success in the great State of California, offering advisory and human resources support to the OCV Program Office in the United States. For further information, please feel free to contact Jacklin Bejan at jbejan@kemsafe.com or at (408) 482-1949. The next day the process of obtaining internal endorsements was completed and copies were mailed out to some of the key Congressional members. On January 6th, James Rayis and Nina Shea, the director of Freedom House's Center for Religious Freedom, co-wrote a potent article that brilliantly summarized the injustice against the Iraqi Christians in their own country and in the Diaspora. Click here to read this article. As thousands of eligible Iraqi voters in the United States prepare to cast their ballots in Iraq’s historic upcoming Transitional National Assembly Election, I urge you to join me in calling for the creation of additional polling facilities to serve the thousands of Iraqi expatriates living throughout California. The U.S. Iraqi Out-of-Country Voting (OCV) Program for the Iraqi National Assembly will be carried out this month in five designated voter registration offices in Nashville, Chicago, Detroit, Washington, D.C. and Los Angeles. Registration will take place from January 17th to the 23rd, and polling will be conducted at these sites between January 28 and 30, 2005. Registration and voting by mail is not allowed. Limiting polling facilities to only these five cities presents a significant challenge to much of the Iraqi expatriate community of California, comprised primarily of Christian Assyrians, Chaldeans, and Syriacs, the indigenous peoples of Iraq. The 25,000 Iraqis residing in San Diego represent the third largest Iraqi expatriate population in the United States, behind Chicago and Detroit, and yet are being forced to travel hundreds of miles to take part in their national elections. In choosing Los Angeles as the only California polling location, the Directors of the OCV Program have left out significant, predominantly Christian, Iraqi populations in Southern California, the Central Valley and the San Francisco Bay Area. Allowing two additional polling facilities in California…one in San Diego and one in Modesto…will go a long way toward preventing the disenfranchisement of eligible Iraqi voters and maximizing the turnout in Iraq’s first free and fair elections. I ask you to join me in urging Peter Erben, Program Director of Iraq Out-of-Country Voting to take this important step. To sign on, or for more information, you can contact Tim Carey in my office at 5-8104. As the Iraq Out-of-Country Voting (OCV) program prepares to conduct Iraq’s historic Transitional National Assembly Election, we write to strongly urge you to consider opening additional polling places in the State of California. Doing so will greatly assist the significant populations of Iraqi expatriates residing in California who face a great challenge in taking part in the upcoming elections due to the lack of sufficient polling facilities. While your organization has worked to accommodate Iraqi expatriate populations in the United States with regional polling facilities in Nashville, Chicago, Detroit, Los Angeles and Washington, D.C., we are concerned that thousands of eligible Iraqi voters residing on the West Coast will face a significant burden in trying to take part in the election process. The 25,000, predominately Christian-Iraqis living in San Diego, for example, represent the third-largest Iraqi population center in the nation, yet they would have to travel hundreds of miles to take part in their home country’s elections. The vast numbers of Christian Iraqis living in California’s Central Valley and the San Francisco Bay Area are at least 400 miles removed from the nearest polling center in Los Angeles. The difficultly in traveling these great distances to register to vote, and to return again days later to vote will discourage eligible Iraqi voters from taking part. In order to guarantee the largest turnout and fairest election possible, we urge you to open two additional polling facilities in California, one in the city of San Diego and one in Modesto. We thank you for your attention to this critical matter and look forward to your timely response. What followed was a series of letters from various U.S. Representatives demanding the opening of new offices in California and Michigan. 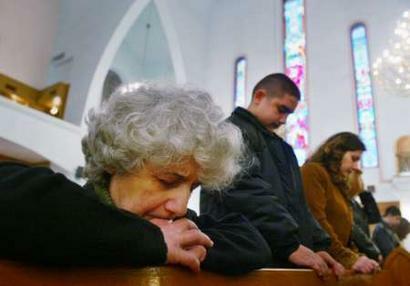 The Los Angeles Times, New York Times, Washington Times, and several other national newspapers and magazines have written about the unfair treatment of the Iraqi Christians in America. Yet at press time the Office of the Out of Country Voting Program remains unabashedly against any new voting centers in California, Michigan, and Arizona. Not even a registration booth to reduce the travel. What is this woman thinking on the eve of Christmas Day in this empty Assyrian church in Baghdad? Peace in the land between the Two Rivers? Safety of her children in Mosul or Basra? Maybe even in America? The churches were less crowded this past Christmas because a dozen were destroyed not long before that night. But many did come and lit a candle for Iraq, for the Assyrians in Bet-Nahrain, and in every country where the Assyrian pride lives on. The Office of Out of Country Voting Program and many like it are unjustly allowing the Oil-For-Food money brokered to fall in the hands of the major Kurdish groups to influence their decision to provide us with more places to vote. Injustice follows the weak and the forgotten! Now it is time to demonstrate the power of the powerless, the might that was Assyria and Babylon. At the end of this month, Assyrians in Baghdad will walk through deadly streets, dodging sniper bullets and stand in lines where any man or woman standing next to them may be a suicide bomber. If Maryam in Mosul and Sargon in Baghdad will sacrifice their lives to let the world know that Iraq must be free, then who are we to complain of a day's wage and a few hours of driving on a polished California highway twice this month? It does put things into a perspective we have lost living in the west. Please plan on registering next week and then vote in the following week. Your vote counts! You will be sending a message of support and hope like none other to over one million Assyrians in Iraq. Call family members and friends and be sure to take others with you. There are nearly one million Assyrians living outside of Iraq. We are Assyrians, Chaldeans, and Syriacs. Many of us are from Iraq and are eligible to vote in one of the 14 countries with Out of Country Voting offices. Drive from a nearby country in Europe, a State in America or province in Canada and register and vote. If you live in cities where registration and voting is to take place, open your homes to traveling countrymen and women. Allow them to stay with you and ask them to come back again next week. We are now left with two options: either stay at home or drive to a nearby OCV office, register and vote. Please stand up against the injustices, inequities, and indignities against us in Iraq, at the United Nations, and in certain Washington lobbies and vote! Do not allow anyone to take away the precious privilege of voting from us under any circumstances. Stand in that in line, under rain or snow, endure a little inconvenience and remind yourself of the thousands of lives sacrificed since the liberation of Iraq and thousands more in the decades before the demise of Saddam. I was looking at that picture for a long time that night, biting on my cold sandwich and gulping down a bottle of Sam Adams. It suddenly hit me - she needs my vote in Europe and America more than she can count on herself's, because she may never be able to leave home that day. Join Zinda Magazine in acknowledging the support of the following United States Congressional Representatives who heard our demands for more voting centers in the geographical areas with the largest Iraqi Christian populations and urged the OCV program to open new sites. In the coming weeks we hope to include more names from Michigan, California, Arizona, and every where there remain thousands of unheard Iraqi Christian voices. Please contact your representative today and ask to be heard. If you live in the U.S. and do not know know your representative or his/her contact info click here and follow the easy directions. After months of waiting, Iraqis in Canada are finally given the green light to participate in the Iraqi elections taking place at the end of January. The Canadian government was approached in mid-November by the IOM and did not give an approval in writing (only orally). It wasn't until the end of December that an approval was submitted in writing. On Monday January 10, Mr. David Oraha and Ms. Mary Younan of the Assyrian Canadian Lobbying Committee (ACLC) along with Ms. Claire Trevena of the International Organization for Migration (IOM) gathered at the Grand Palace Banquet Hall for an information session pertaining to out-of-country voting for Iraqis in the upcoming national elections. 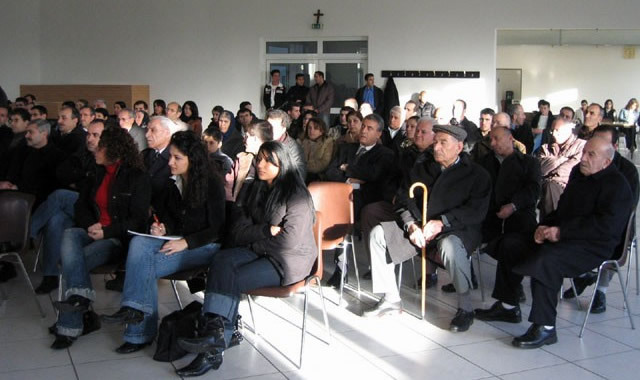 There had been other information sessions arranged however, this particular event was directed more towards the Assyrian community. The guests were made aware that there would be no discussion with regards to the various political parties involved and that the night was dedicated strictly to providing voting information. Eligible voters were to elect a 275 member Iraqi National Assembly which would be responsible for writing the construction along with other duties. The IOM representative explained that the protocol for the elections was similar for all 14 countries which were to take part in holding the elections outside of Iraq. Why were these cities chosen? The reason is because they were believed to contain a high number of Iraqis. The majority of Iraqis live in Toronto which is why there are three districts in the Greater Toronto Area (GTA) which will hold the election stations. Calgary was chosen as a Western hub so that the Iraqis residing in the Western provinces could travel to Calgary and cast their vote. British Columbia was not chosen because they believed that a city further out west would not attract as many voters from the prairie provinces. And finally, the Nation's capital Ottawa was thought to be a good location because it would serve both Ottawa and Montreal residents. In order to vote one must be over the age of 18 and born in Iraq. However, if for any reason one is not born in Iraq they may still be permitted to vote given the father (not mother) was born in Iraq. Voting privileges are given in accordance with Iraqi law which states lineage must be achieved through the paternal side. In Canada, Assyrians holding Iraqi citizenship are able to simply use their Canadian Passport (if they hold one) or landed immigrancy as proof of citizenship and birthplace. At the moment, the exact registration and voting centres are fount but are not released until security assessments are completed and proper arrangements are made to achieve security. Trevena stated that "security is paramount" and that the IOM is working with the Toronto police, the Royal Canadian Mounted Police (RCMP) among other security personnel to make sure that the voters are at ease when casting their votes. An interesting point was brought up by Mr. David Oraha during the question period. It was the result of the 1933 massacre at Semele, usually downplayed and described in some literature as the "Assyrian incident" causing many Assyrians to resettle in neighbouring countries. This event comes back to affect many Assyrians and their ability to vote because as a result many of them are born in neighbouring countries such as Syria for example and their children are unable to participate in the vote. If however, an Assyrian is able to provide documentation proving that their grandfather was born in Iraq and their children were born outside of Iraq as a result of the massacres and that they are in fact their father's children then they may still be eligible to vote. Thus, one would need to provide a grandfather's legal documentation showing that Iraq is the birthplace, a father's legal document showing he is his father's son, and finally documentation showing you are the offspring of your father. Please contact the IOM for a detailed explanation and validation of this information. Other concerns brought up concerned the eligibility of those who's father is deceased but born in Iraq. The main point is that anyone who is not born in Iraq but who's father is an Iraqi citizen is eligible to vote given that the proper legal documentation displaying the father's birthplace is brought to the registration centre (which is also the voting centre). Unfortunately, it was also learned at the information session that neither English nor Assyrian (Syriac) will be used on the voting sheets to display the names of the lists. Instead, only Arabic and Kurdish will be used. A point was brought up by a member of the audience stating that thousands of Assyrian youth and elderly are unable to read or even speak Arabic and thus this matter will be disadvantageous towards that percentage of the population. Ms. Trevena stated that after much consultation, Arabic was decided to be sufficient because most Assyrian from Iraq are literate in the Arabic language. Also, there was a lack of time to incorporate Assyrian on the ballots. This caused much disappointment in the crowd of Assyrian attendees and worried some members of the audience. It was explained that voters illiterate in Arabic should contact the organizations which they wish to cast their vote for in order to obtain the proper voting "number" and "logo" which will be displayed on the ballots. Moreover, those eligible voters who are unable to speak and/or read Arabic may have their parent accompany them in the voting tents to help translate the lists. Assyrians in Canada looking for voting information are asked to call the Canadian Voter Information Hotline which is open from Midnight to 6 p.m. 1-800-916-8292. (ZNDA: Baghdad) Iraq's Christian parties complain they lack funding and are living in danger ahead of landmark parliamentary elections scheduled for January 30. Already the victims of several church bombings since August, the country's 700,000 Christians, who make up just three per cent of Iraq's 26 million people, are struggling to get their message across. “Governmental parties are able to reach out to the public through the media because they have greater financial resources,” Odeesho Toma, a member of the Assyrian Patriotic Party, which is running on a coalition list with Kurdish parties, said. Because of its lack of financial clout, the party's Shara (the Truth) radio broadcasts in Kurdistan but its frequency has trouble making it to Baghdad. “We have to hold meetings and symposiums for our people in the north to urge them to vote for the list we are part of,” Toma said. Even for parties with deeper pockets, like the Assyrian Democratic Movement, television advertising is too costly. “We are facing financial troubles and huge amounts of money are required if we want to make use of satellite TV stations in our campaign,” head of the culture and information bureau in the Assyrian Democratic Movement, William Warda, said. The few posters of Christian parties on display bear no symbols other than the map of Iraq. 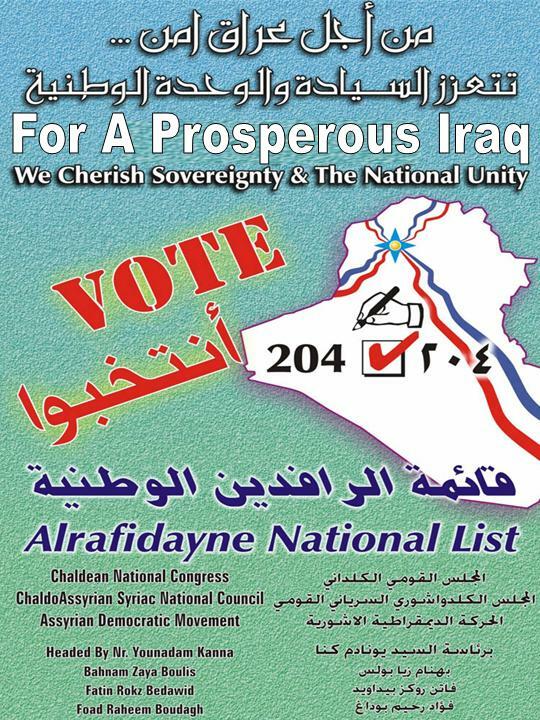 “For a prosperous Iraq for the unity of our Chaldean-Syriac-Assyrian people, vote for list number 148 of the Democratic Coalition of the Two Rivers”, one poster reads. Another poster shows Iraq's map in white and the ancient symbol of a sun engulfing a star and two rivers springing near the northern, restive, city of Mosul in tribute to the Tigris and the Euphrates rivers. Unlike big governmental parties, such as Prime Minister Iyad Allawi's Iraqi National Accord and the two main Kurdish parties, which have ample finance at their disposal, Christian groups, many of them newly formed, seem to be saving their pennies. Except for the Assyrian Democratic Movement, the oldest and most powerful party that owns Ashour TV station and Ashour radio, Christian parties are using weekly newspapers and poorly-financed radio stations with restricted transmission ranges to reach out to the public. “Through our TV and radio, we are welcoming secular respectable figures like Ayad Jamal Addin, a well-known thinker and a Shiite candidate, or Adnan Pachachi, a prominent secular Sunni party leader” Warda, whose bureau runs Ashour TV and radio, said. Church bombings in August resulted in the departure of as many as 40,000 Christians, according to official sources like Pascal Isho, the interim minister of Migration and Immigrants. Iraqi Christian expatriates are now estimated to number more than one million. Some television stations run by Christian parties are working from abroad and apparently addressing Iraqi Christian communities there, like the Surayah TV of the Bethnarhain Patriotic Union based in Sweden and Assyrians based in Chicago. Armed men reported to be with the Kurdistan Democratic Party (KDP) and the Patriotic Union of Kurdistan (PUK) attacked the Church of Mar Youhanna in Bakhdeda, northern Iraq, during Christmas Mass. The armed Kurds opened fire upon the local volunteer guards protecting the church. The armed group then fired indiscriminately towards the parishioners in order to terrorize them. Two of the volunteer guards were wounded by the attack. A formal complaint was lodged with the local Kurdish authorities but the file was later disposed of and the case ignored. In another incident, an armed group from the KDP forced their way into the homes of several residents of Bakhdeda. The excuse given by the armed gang was that some of the locals were members of the Baath Party. The residents are adamant that there are no Baath members among their people. Several residents were gathered up, severely beaten, insulted, and finally taken away. Their whereabouts are still unknown. As part of the same campaign, an armed KDP group attacked a Syriac-Assyrian family in Bakhdeda, forcing their way into their home, terrorizing and abusing them. The armed group later said that the Syriac-Assyrian family has a relative who is married to a man loyal to the KDP and would therefore confiscate their home and use it as a KDP base. The armed Kurds, now living in the family's home, were later joined by more members of the KDP. Attacks have also been conducted on the government county building in Bakhdeda, where the director of the Land Deed Records Office was repeatedly beaten causing severe head trauma. His employees were also insulted, terrorized and told to run away or stay and do as commanded by the armed Kurds. The county offices have yet to reopen since the attacks. Furthermore, the oil and gas which is distributed to the county's Fuel Distribution Center is repeatedly stolen by armed gangs. Members of the Kurdish parties steal the county's government distributed portion of oil and gas and divide it among their own members, who turn around and sell it on the black market. Whenever a shipment of oil or gas arrives, shots ring out to signal to the members to proceed with their criminal acts. The shots also serve to terrorize the Syriac-Assyrian population and remind them that joining the ranks of the KDP would be advantageous. (ZNDA: Washington) Rep. Dennis Cardoza, Democrat-Merced, today renewed his request for the establishment of an additional voting site in the Central Valley so that Iraqis living in the region will not have to travel all the way to Los Angeles to participate in their country's first democratic election. "The five voting sites that have been designated nationwide are inadequate," Cardoza said. "There are 40,000 Iraqis living in the Central Valley, which certainly qualifies as a precinct of its own. How can we expect to run a decent election in Iraq without giving people a reasonable opportunity to vote? We wouldn't require people to travel six hours by car to vote in America, so we can't require Iraqis living in our country to do that for their election." Iraqis living in the U.S. are required to register as an absentee at the voting site between Jan. 17-23 and then return to actually vote between Jan. 27-30. "Earlier this month, Gen. Colin Powell told the AP that, "The people conducting these attacks don't want to see an election.'" He further said on NBC's Meet the Press that "even in the Sunni areas where people are being threatened, people are coming out to register. People know that this is their chance to decide how they will be led and they are not inclined toward this kind of violence and these insurgents." "Isn't it ironic that we are asking our soldiers to risk their lives to enable these elections to occur and yet we are not providing sufficient numbers of voting booths for the Iraqis in this country who will be casting their ballot for the first time? There are just 5 election locations in our entire nation-only one of which is in the entire Western half of the U.S.--to handle all absentee voting Iraqis in America between January 27-30. The Central Valley's 40,000 Iraqis requested their own voting booth so they can vote closer to home. Unfortunately, Los Angeles is the nearest voting facility and requires at least an eight hour round trip by car. Valley Iraqis are also required to travel to Los Angeles to register to vote during the week of Jan. 17-23, which calls for them to make two trips from the Valley in a very short period of time. "My office has been working diligently to try and rectify this atrocity. We will continue to push for additional voting booths to allow these voters their rightful duty. (ZNDA: Washington) Christian Iraqis in the United States claim they are being effectively shut out of the planned Jan. 30 election for a new government in Baghdad at a time when their community faces murderous violence and discrimination back home. Jacklin Bejan, a spokeswoman for the Chaldean-Assyrian-American Advocacy Council, said the decision by election organizers to set up just one polling station west of the Mississippi -- in Los Angeles -- means that tens of thousands of eligible voters will not be able to register or vote. In San Diego alone, there are an estimated 25,000 expatriate Iraqis of Assyrian or Chaldean ancestry who could vote in the election. Iraq's Chaldean-Assyrian community is one of the largest remaining Christian populations in the Middle East, and has been the target of intimidation, assassinations and bombings by Islamist terrorists in recent months. For some Iraqi communities in Northern California, "you are talking about an 800-mile round trip just to register next week, and another 800-mile round trip to vote on January 30," Mrs. Bejan said. "We offered to do everything they wanted to set up more polling places -- locations, security, staffing -- and we were just told no," she said. The Geneva-based International Organization for Migration (IOM), working with Iraqi election officials, selected five cities where the estimated 240,000 eligible Iraqis can vote: Washington, Nashville, Chicago, Detroit and Los Angeles. About 1 million Iraqis in 14 countries will be eligible to cast ballots in the Jan. 30 election, considered a critical step in the country's rocky path to self-rule. Jacklin Bejan, a spokesperson for the ChaldoAssyrian American Advocacy Council, believes the choice of voting sites in California is unfair to Iraqi Christian expats in San Diego & Central California..
Fifteen U.S.-based Chaldean and Assyrian groups signed a petition this week protesting the voting procedures in the United States. They noted that Nashville, with a community of only about 4,000 Iraqis of Kurdish origin, has a polling site, while San Diego County, whose Iraqi expatriate community is the third-largest in the country, does not. Large Iraqi Christian communities in central and Northern California, as well as Arizona and Nevada, are also effectively shut out, the petition said. "The seemingly arbitrary allocation of polling stations is seen as an outright act of discrimination against non-Kurdish Iraqis, especially the Chaldo-Assyrians who comprise 85 percent to 90 percent of all Iraqi-Americans," the petition said. The Sunni Muslim Kurds were a staunch U.S. ally in the drive to oust Saddam Hussein. But they have also clashed in northern Iraq with Chaldeans, Assyrians and other smaller minorities over political control and economic resources. 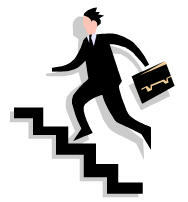 The issue has attracted the attention of members of Congress. Rep. Frank R. Wolf, Virginia Republican, wrote to Secretary of State Colin L. Powell earlier this week questioning the distribution of polling places and noting the campaign of terror targeting Christians inside Iraq. "It is in our nation's own political interest to help ensure that this group, which is pro-democratic and pro-Western, can participate in the democratic process and have its rights protected in the new government," he wrote. And 12 California lawmakers wrote this week directly to election organizers, urging the opening of two more polling sites in San Diego and Modesto, Calif.
Sarah Tosh, spokeswoman for the IOM's Iraq Out-of-Country Voting Program, said in an e-mail that the U.S. sites were picked based on census data and in close consultation with U.S. Iraqi groups and the Iraqi Embassy. "They agreed that if we could only have registration and polling in five cities, then these were the best ones," she said. She said officials recognize that the one California registration and voting site "will be inconvenient for Iraqi voters in San Diego," but, she added, "Iraqis living in other parts of the United States also face long commutes to vote." With voter registration set to begin Monday, "it would be impossible for us to consider opening new sites at this stage in the process." State Department spokesman Richard Boucher said yesterday he had not seen Mr. Wolf's letter to Mr. Powell and would not comment on it. Michael Kozak, acting assistant secretary for human rights, democracy and labor, said in a Wednesday briefing that the U.S. government was merely "facilitating" the expatriate vote, which was organized and financed by the Iraqis. "We are not making the rules. We're not the ones selecting the sites," Mr. Kozak said. Nina Shea, director of the Freedom House's Center for Religious Freedom, said the passive stance of the U.S. government reflected "the proverbial tin ear our bureaucracy has for the importance of religion in the Muslim world and in the Middle East." "We formed an alliance with the Kurds for understandable reasons, but that does not mean we should just view the country's persecuted Christian minority as an inconvenience," she said. Mrs. Bejan said the voting question wasn't an academic one. Under Iraq's proposed voting formula, the expatriate U.S. vote could ensure as many as five seats for Assyrian-Chaldean candidates in the new National Assembly. "Those are seats we badly need just to protect our property and our lives," she said. (ZNDA: Southgate) Some Iraqi Americans in Michigan expressed disappointment Friday with the site selected for them to register and vote in Iraq's elections but said they'll do their best to get people to the polls. Joseph Kassab, president of the Chaldean National Congress and a resident of Farmington Hills, said many Chaldeans live 40 to 50 miles from the site, a building in Southgate owned by Wayne County. "Our people are going to face some challenges," Kassab said. "For some who can't speak the language, and some elderly people, it's hard for them to commute that much." But as the Jan. 17-23 registration period approaches, Kassab said the community will figure out car pools and other ways to get Chaldeans to the polls. He said a recent rally urging Chaldeans to vote attracted 300 people. "(Iraqi Christians) need our votes. Most of them will be unable to vote because of security and logistics," Kassab said. "More important, we as Iraqi Americans understand democracy. We want to implement it the very same way in our country at home." The decision on the site came after weeks of failed attempts to find a suitable location. Registration is scheduled to begin at 8 a.m. EST Monday and will run until 5 p.m. each day through Jan. 23. Voting will be Jan. 28-30. Vanessa Denha, an Iraqi American and Wayne County spokeswoman, said the Southgate site is accessible from Interstate 75 and has ample parking for the thousands of voters who may register and vote. Election officials estimate 1 million Iraqis living outside their country will be eligible to vote, including as many as 80,000 in Michigan. Denha said as many as 100,000 Iraqi Americans could come to Southgate, which is one of five voting sites in the country. Denha said officers from Southgate, Wayne County and the Michigan State Police will secure the building. State police spokeswoman Shanon Akans wouldn't say how many officers will be on the scene but said police will try to get the federal government to pay some of the costs. Voter registration is open to those who are present or former Iraqi citizens, those who were born in Iraq and those whose fathers are Iraqi. Voters must have documents to prove they are eligible. They also must have been 18 by Dec. 31. Denha is eligible because her father was born in Iraq. She said she'll be researching her options before voting. "It's a privilege to be able to vote," she said. "You have to be conscious and make a sound decision, like you would in any election." (ZNDA: Los Angeles) Alaa Alasady joined the armed uprising against Saddam Hussein. Shak Hanish endured torture for opposing Hussein's Baath Party. And Alan Zangana saw his community gassed, deported and massacred by Hussein's forces. The three Iraqi immigrants to Southern California have dissimilar backgrounds, with Alasady an Arab Muslim, Hanish a ChaldoAssyrian Christian and Zangana a Kurd. But they are bound in suffering under a brutal dictator — and now united in new hopes for their beleaguered homeland as they prepare to participate in Iraq's first democratic elections in six decades. "We have dreamed all of our lives of putting that piece of paper in the ballot box," said Hanish, an international relations professor who fled Iraq in 1980 after being forced to sign his own execution papers. "If the election was anywhere in the world, I would go to participate." 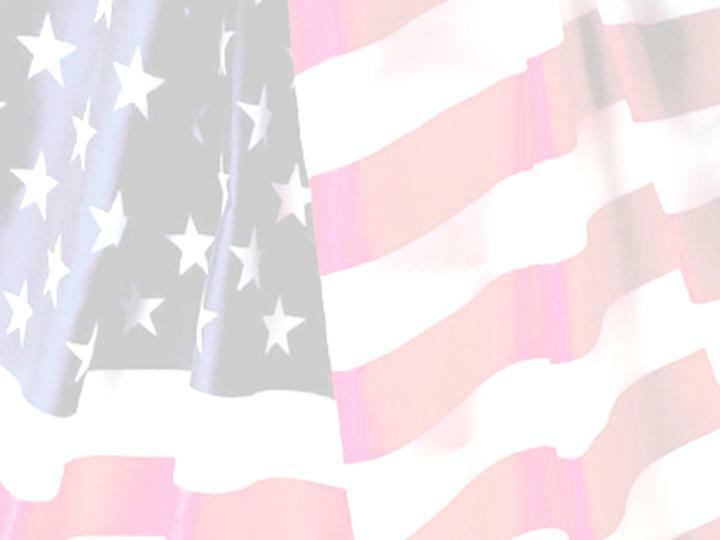 Under voting rules, Iraqi expatriates who were born in Iraq or whose father was born there are eligible to vote even if they are American citizens now. Overseas voting is planned to take place in 14 countries from Jan. 28 to 30; U.S. balloting sites are in Los Angeles and four other cities. Registration for Iraq's National Assembly elections begins Monday, and the training of hundreds of poll workers is well underway to handle the estimated 67,000 potential voters who could travel to Los Angeles from around the Western states. On Thursday, election officials gave the public its first peek at the Los Angeles training sessions. Voting officials said that security for the election was a high priority, although a U.S. Homeland Security spokeswoman said no specific or credible threats had been received. The California voting is not without problems. The Iraqi community in San Diego, the largest on the West Coast at an estimated 25,000, is protesting the failure to open a polling station in that area. On Thursday, 12 members of California's congressional delegation appealed to the Jordan-based organization that is running the overseas voting to open up more polling places in San Diego, San Francisco and the Central Valley. Jeremy Copeland, spokesman for the International Organization for Migration's Iraq Out-of-Country Voting program, said it initially was intended to be limited in scope, with plans to conduct voting only in Washington, D.C. But under community pressure, it was expanded to Los Angeles, Detroit, Chicago and Nashville. He said there are no plans to add other cities. Still, excitement over the election is palpable in places such as the Ahlul-Beyt mosque in Pomona, a sanctuary of Koranic tapestries and glass chandeliers largely frequented by Shiite Muslims from Iraq. Last week, Basim Ridha Alhussaini, who is a voting trainer in Los Angeles, gave a primer at the mosque, complete with a draft ballot. The crowded ballot includes many coalitions or individuals from which voters may select only one as their choice for the 275 parliamentary seats. Seats will be awarded proportionally. But this crowd's leading candidate was clear. "Which is the coalition supported by Grand Ayatollah Ali Sistani?" one mosquegoer asked, referring to Iraq's most influential religious leader. "Number 169," Alhussaini replied. "The United Iraqi Alliance." For Walnut psychologist Ilham Al-Sarraf, the electoral stakes are highly personal. Her son, Sermid, is in Iraq helping rebuild the country's shattered legal institutions. Her brother is the nation's Supreme Court chief justice. Her sister, she said, is suffering from post-traumatic stress syndrome produced by years of war and terror. That sister, Widad Hussein, was visiting the mosque from Baghdad last week and poured out anguished stories of a life destroyed. Amid continued lawlessness, she said, one daughter shuttered her dental practice after receiving anonymous death threats. Another, an engineer, has survived three bomb attacks on her office. "We are living in pure misery," Hussein said. "The elections are a glimpse of hope to allow the Iraqi people to become human again." Among Iraqi expatriates in El Cajon outside San Diego, the religion was different but the sentiments similar. At the St. Peter Chaldean Catholic Cathedral, the Eastern-rite Catholics still celebrate their liturgy in Aramaic, the ancient language of Christ, and have modeled their cathedral's tile towers after the architecture of Babylon, which is claimed as roots by the ChaldoAssyrians of Iraq. But excitement over the elections was mixed with deep disappointment that San Diegans would have to travel to Los Angeles twice, to register and to vote. Noori Barka, president of the Chaldean American Foundation, said the community had offered volunteers and the free use of its churches as a voting site, to no avail. "We have nothing here, nothing! Why?" asked the visibly agitated Bishop Sarhad Y. Jammo, who oversees 19 Western states. "How can you promote democracy through a process that is not democratic in the United States itself?" Still, over a lunch of Mideastern salads and marinated meats, several community members marveled at the democratic choices finally facing them. Hanish, the professor who fled Iraq in fear that his secret membership in a left-leaning student group would be his death warrant, planned to vote for the People's Unity Party. The liberal secular party, he said, represented "the unity of Iraq" and the values of pluralism, tolerance and feminism. His friend, Said Sipo, said he would vote for the Christian Two Rivers Party to ensure that the rights of Christians would be respected. In California's 30,000-member Kurdish community, meanwhile, many see the election as "the end of genocide against Kurds," Zangana said. 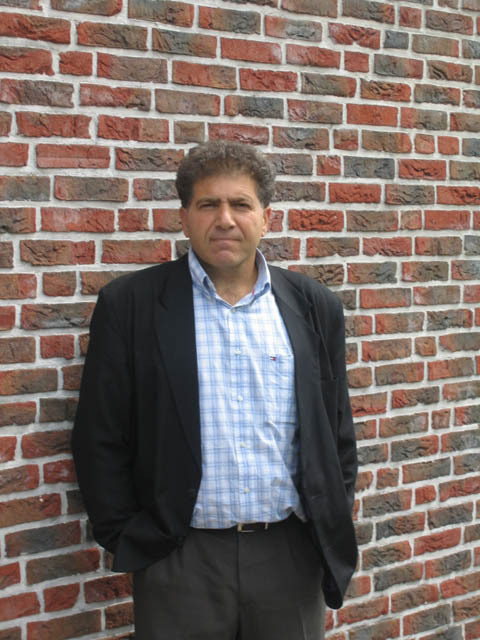 Zangana, program director of the San Diego-based Kurdish Human Rights Watch, came to the United States under political asylum in 1982. He had survived torture during a monthlong prison term under Hussein's regime. He experienced the mass deportation of his family and 300,000 others from Kurdish cities in 1975. He lost friends in Hussein's 1988 nerve gas attacks on Kurdish cities. Like many other Iraqi Americans, he supported the U.S. invasion and does not want the upcoming voting to be postponed even amid continued violence by insurgents in Iraq. Zangana plans to vote for the Kurdistan Democratic Party in the hope that Iraq will adopt a U.S.-style federalist system. To secure his and others' voting rights, more than 300 poll workers are being trained in Los Angeles to staff the voting stations, whose locations have not yet been announced. At the Radisson Hotel near Los Angeles International Airport early Thursday, poll trainer Alhussaini quizzed 150 poll workers on their upcoming duties. The poll workers included Suad Jawad, 46, and her 18-year-old daughter, Essra. Like so many Iraqi expatriates, the elder Jawad can reel off the names of many relatives who were tortured or killed by Hussein's forces. Now, suddenly, her homeland was poised for democratic progress, and she and her family were eager to lend a hand. "I never imagined this day would happen," said Jawad, her face crinkling into a smile. Her Los Angeles-born daughter, weaned on the terrible tales of her family's suffering, added: "I want to do something for the country, even though I've never been there." They have officially stolen the elections from us Chaldeans, all 120,000 of us here in Detroit. This is where they have put the single voting booth at 15600 Northline, Southgate, Michigan 48195-2350. Go do yahoo map and see where it is at. 45 miles away from all of us here in Sterling Heights. How are we to convince all of these people to drive one hour back and forth twice during this Michigan weather and snow? Most of them don't even know how to use the highways, so add another hour for the trip. The assimilating policies of the Assyrian kings had been very successful in creating a universal Assyrian identity among the peoples of Bet-Nahrain. After the fall of the Assyrian empire during the Neo-Babylonian period, elements within the Babylonian society still considered themselves Assyrians. Historical documents clearly indicate that this Assyrian identity continued through the Persian, Arab, Mongolian, and Ottoman periods and that it was these Assyrians who established the Syriac speaking churches. This Assyrian identity was rekindled when the European discoveries brought our glorious past to our attention. What followed was the birth of Assyrian national movements which independently developed in TurAbdin among Western Assyrians and in Urmi/Hakkari among Eastern Assyrians. Assyria as an empire fell in 612 BC, but Assyria as a kingdom survived well into the Christian era. It is a well documented fact that the kingdoms of Adiabene, Edessa, and Nisibin were established by people who considered themselves Assyrians. The Church of the East and the Syriac Orthodox Church were established by Assyrians and there are numerous instances in Church records throughout the ages whereby the clergy clearly identify themselves as Assyrians. All of our communities irrespective of their religious affiliations come from villages in northern Mesopotamia, i.e. historic Assyria. There has been a continuous settlement of our people in historic Assyria from the times of the empire to this day. Catholic missionaries arrived in Assyria from the 16th century onward, long before Layard or Anglican missionaries arrived on the scene, and introduced the name Chaldean among our people. According to professor Joseph’s reasoning, our national identity should be “Chaldean”. Yet to this day, the term Chaldean has very little meaning outside of the Catholic Church. In Turabdin there were no Anglican missionaries. Yet Turabdin is the cradle of Assyrian nationalism among Western Assyrians. This again defies Dr. Joseph’s logic. The overwhelming majority of nationalist from our different Christian denominations use the term Assyrian as our national identity. 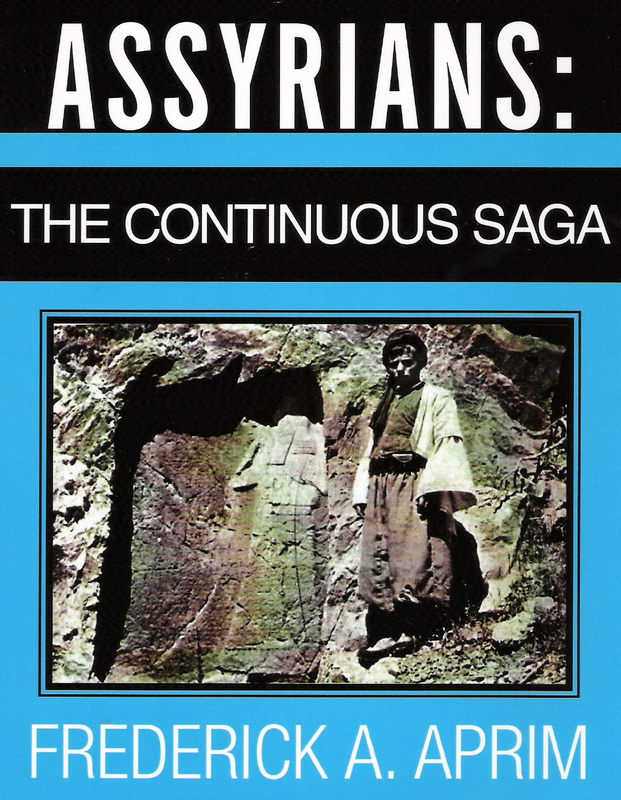 All of our national movements, whether established in Iraq, Turkey, Iran, or Syria, have the name Assyrian in common. All of the Christian denominations within our nation have at one time or another acknowledged their Assyrian identities. There is irrefutable evidence that the terms Syriac, Syrian, Syria, Suryani, Suraya, Suryaya, Suroyo, Suryoyo, are all offshoots of Ashur, Atour, and Assyria. To all who participated in the success of this project Glory to the merciful for they are the sons of God. We hope that with your help we can further expand this project in the future to enable the distribution of Christmas gifts to all our ChaldoAssyrian Syriac villages. Assyrian of today has become the citizen of the world. Yet, no matter in which country they are born in, or which national passport they carry, they all, and without exception, look to present day Iraq as the land of their forefathers. For centuries, our poets, writers, singers and nationalists (Omtanayeh) have recited, published, produced and sacrificed themselves for the cause of Assyria The global Assyrian, while scattered in the four corners of the world, shares a common, language, heritage, history and the love for the land, known to the world as the "Cradle of Civilization". The global Assyrian with the advent of the Internet, once again was able to gather it's fragmented pieces and be brought together. The sons and daughters of our nation still living in the land of our forefathers were not an exception to this global gathering and they listened to the cries of many from all over the world. They heard us loud and clear and they responded to the cries of many. The true sons and daughters of our nation, under the banner of the Assyrian National Gathering (Assembly), proclaimed themselves to be the true voice of our nation at large. Their platform is a true testimony to the wishes of each and every omtanaya Ashuraya (Assyrian) in the world. The Assyrian nation at large, will finally have the opportunity to be heard and to claim it's God's given birth rights in the land of their forefathers. These sons and daughters of our nation under the name of "Assyrian National Gathering (Assembly)", as per their well defined and communicated platform, are the only true and rightful representatives of our people, both form inside and outside the historical homeland of Assyrian nation. They are the voices of each and every true Assyrian in the world. They have heard us and have acted. It is now up to each and ever one of us, to offer them our fullest support with any means available to us , so that they can make our dream a reality. Assyrian National Gathering (Assembly), slate 139 is us and we are them. Vote 139 for this is your voice and let it be heard. 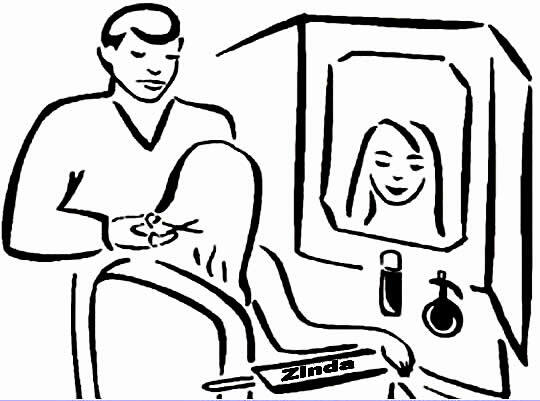 This is just a small, but, I believe, important recommendation for Zinda Magazine. On the banner at the top of the Zinda homepage, the following is written: "Serving the Assyrian and Syriac-speaking Communities Around the World." With all due respect, I believe that it is not necessary to write "Assyrian AND Syriac-speaking" because I believe the two terms to be synonymous and hence one should be used only. Whether this is 'the Assyrian speaking communities' or 'the Syriac speaking communities' is another issue which should be left to Zinda crew's judgment and preference. I make this recommendation because by using the word AND it gives the impression that there are two different communities: 1) The Assyrian speaking community; and 2) The Syriac speaking community. I believe that the giving of such an impression (some may say it does not give such an impression) is an error which is easily rectifiable through the recommendation propounded above. We Assyrians always speak of "khuyada-huyodo" but I sometimes get the impression that through our own actions, whether written, spoken, or otherwise, we make ourselves sound like different people, communities and nations, which is not beneficial at all to the Assyrian cause and makes any talk of "khuyada-huyodo" mere rhetoric. I sincerely hope that Zinda Magazine takes my recommendation into consideration. Long live the great nation of Assyria. Dellbrück is a small town near the German city of Hannover. A couple of thousand Assyrians have migrated here from Turkey, Syria, Lebanon and other countries. As the summer approaches, preparations are in full swing for the annual visits they pay to their native regions. The Assyrians of Dellbrück never left their native lands out of free will, and they reconstructed their homelands by building churches like in their old villages. Sabri Atman, recognized as leading Assyrian scholar of the Seyfo genocide. The church priest had informed us that this Sunday would be a different one, as there would be a lecture on the Seyfo by Sabri Atman, a man who has been touring all over Europe to speak on the genocide. Some 157 people had gathered at the community center after the morning prayers. Atman first explained why he became interested in the genocide and why the genocide shouldn’t be directed to oblivion. After some remarks on the phenomenon of genocide, he elaborated on the Seyfo as being one of the first genocides of the 20th century. He then resumed his lecture by pointing out that this genocide can not be attributed to a few Kurdish tribes. This was the case because it was the outcome of a scheme, carefully planned and programmed by the “İttihat ve Terakki” regime. This dictatorship had used reactionary Kurds as a means of slaughter against the Assyrians. The Seyfo (literally: ‘year of the sword’) cost the lives of hundreds of thousands of Assyrians. The plan of the dictatorship at the eve of the World War I was to turkify in any way the country. Kurdish tribes would be used for this program. The Holy War (jihad) was proclaimed and the program was enacted. This way, the Christians were destroyed and both Turkish and Kurdish history was smudged with bloody stains. Sabri Atman explained the fact that the Armenian Genocide is globally very known compared to the Assyrian genocide as follows. The Armenian diaspora is old and large and the Armenians have been occupied with pressing for acknowledgement for 90 years. They were more effective in influencing the societies they lived in. The Assyrian diaspora is not very old, and moreover the Assyrians that migrated from Mardin, Midyat, Nusaybin, and Hakkari to European countries were often uneducated people. Nowadays, they are spread all over Germany, Sweden, Switzerland, and Holland. In the coming decade there will be more attention to the Seyfo. This tragedy will be researched and talked about much more. Sabri Atman’s lively lecture continued for 2 hours and was heard by 157 people. Afterwards many questions were directed toward him. One thing is for sure: the Dellbrück Syrian church had experienced an exceptional Sunday!